The prices are accessible thanks to Hyundai’s commitment to democratise all of their safety equipment across the board so that even the cheaper vehicles contain their best safety technology and features. The new Tucson is set to go against the likes of the Nissan Qashqai and the Honda HR-V. Other than the autonomous emergency braking technology there is also a Lane Keeping Assist System and the Speed Limit Information Function which were the only two functions that were actually considered in the Euro NCAP test, there is a blind spot detector, rear-cross traffic alert and Vehicle Stability Management. 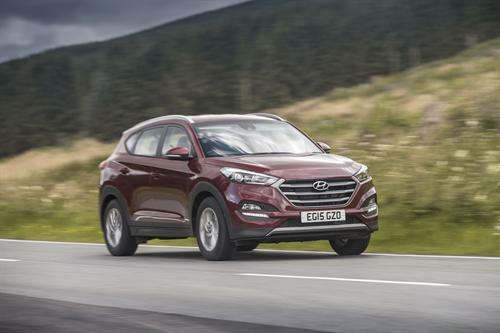 You can now get the all new Tucson is on sale now throughout Europe which is a market that has already taken to Hyundai SUVs pretty well, selling more than 1.2 million SUVs in Europe. Another smaller SUV that has received honour lately for it’s safety standards is the New Fiat 500X, which has won the IIHS Top Safety Pick+ award. The 500X makes a fresh improvement to their mini SUV segment after its previous efforts in the form of the Fiat Sedici.